Oregano, a plant from the mint family, is a signature flavor of many Italian, Mexican, and Spanish dishes. Oregano is a hardy perennial plant that is easy to grow in the home garden. Oregano leaves are oval, dark green and in opposite pairs. Some varieties have fuzzy leaves, others not. Oregano starts out as a ground-hugging rosette of leaves, but it can easily grow to about 2 feet tall. A handful of plants will provide you with enough oregano to use fresh in season and to dry for use throughout the rest of the year. Oregano is one of those Mediterranean herbs that grows well in well-drained soil, on the lean side, and full sun. Rich soil tends to dilute the pungency of the flavor. Climate, soil, and moisture can cause variation in the oregano’s flavor. The genus is native to the Mediterranean and West Asia, but Oregano vulgare has naturalized in many areas, including the eastern United States. Most oregano varieties need full sun, however, the golden oregano variety does best in partial shade; its leaves tend to scorch in full sun. A sandy loam is best suited for oregano. If your soil is moist with lots of organic matter, oregano will not perform as well as it does in lighter soil. Light soil is typically fairly well drained. Allow its soil to dry out between waterings. Do not overwater oregano. Water thoroughly, only when the soil is dry to the touch. Oregano may need some winter protection in hardiness zones 5 and lower. Covering the plants with an evergreen bough, after the ground has frozen, will protect it from wind damage. Many herbs are considered weeds and most are not particular about the soil in which they grow. Oregano is no exception—it will grow in soil that is only moderately fertile. Do not add compost and fertilizer to its growing area. Large amounts of nutrients, such as nitrogen, can change the flavor of this herb. Oregano plants can be started from seeds, divisions, or cuttings. Since different species of oregano will cross-pollinate, you may not get what you expect from seed you saved yourself. Oregano seeds require some light to germinate, so cover only slightly with soil. Start seeds indoors and transplant when temperatures remain above 45 degrees Fahrenheit. Oregano plants are widely available in nurseries and through specialty catalogs. Catalogs tend to offer the widest variety of oregano plants. You can also divide plants simply to make more plants. Divide plants when the centers begin to die out or the stems become too woody. As with most herbs, oregano leaves taste best before the plant flowers. The flowers should be pinched to keep the plants bushy and prevent it from bolting to seed. The flowers stalks are spiky and may be white, pink, or purple. You can begin harvesting when plants have reached 4 to 5 inches in height. Cut sprigs for use. Cutting stems all the way back to the ground will encourage more stems from the base and a fuller plant. The stems tend to get woody and the easiest way to strip the leaves is to hold the stem by the top, uncut end and run your finger down the stem. Most of the pruning oregano needs will be accomplished by harvesting, but to keep it healthy, follow the guidelines for pruning woody herbs. Although it is grown predominately as a culinary herb, oregano makes a nice edging plant and ground cover, requiring little maintenance. The smaller varieties also do well in rock and alpine gardens. Oregano is also a bee magnet. Bees love oregano flowers and will cover the plants, taking up nectar and pollen. Beekeepers purposefully plant oregano near apiaries because it adds a wonderful flavor to the honey made by the oregano-eating bees. Varieties of oregano plants can be perennial ground covers, tender perennials, or even small perennial subshrubs. Even common oregano, Origanum vulgare, can take many forms. Most have stems that can get very woody. There are many named oregano varieties, and common names tend to vary by region. Some plants may not even be in the oregano family, but used in place of it when cooking. It helps to know the botanical name, although that is not always available. Unless you are growing it only for ornamental reasons, the best option for choosing oregano is to taste and smell it. Oregano heracleoticum, Greek oregano: The variety usually used in Mediterranean cooking, it is the type most people associate with oregano flavor. Oregano onites is also sometimes listed as Greek oregano. 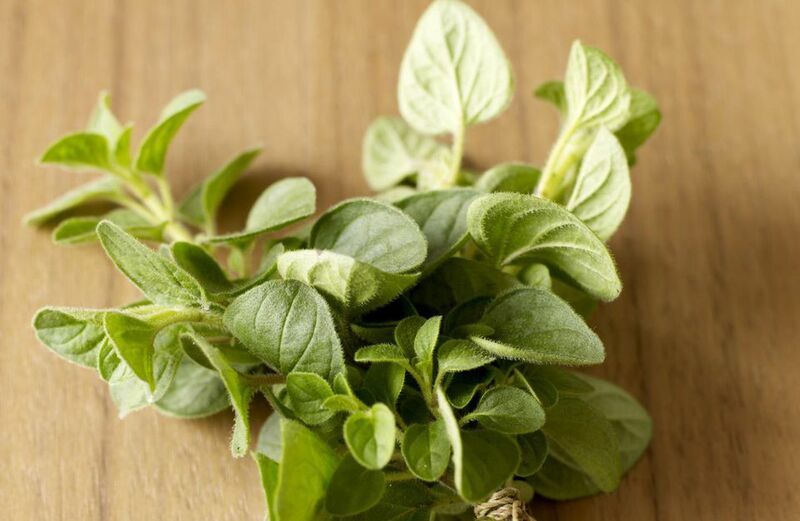 Oregano vulgare, common oregano, wild marjoram, and pot marjoram: Marjoram is a type of oregano with a less pungent, sweeter taste, often used in French and English cooking. Lippia graveolens, Mexican oregano: Not in the oregano family, it is called Mexican oregano and is used in chile powders. Origanum vulgare Aureum, golden oregano: This oregano has lighter colored leaves and a milder oregano flavor. Thymus nummularius, Spanish oregano: In Spain, often, this is used in place of oregano. Plectranthus anboinicus, Puerto Rico and Cuban oregano: Similar to oregano, it is not in the oregano family.